The UNDP Human Development Index rates Sierra Leone as one of the most disadvantaged countries in the world. Educational opportunities in the rural regions are inadequate, especially for girls. CAUSE Canada has been working in the region for over 25 years. In the proposed program, 80 high school girls will be trained to tutor younger students (2,600 girls and 2,400 boys) with the goal of improving their reading and writing skills. The proposed project builds on an educational initiative implemented by CAUSE Canada in partnership with the 60 million girls Foundation from 2011-2013. 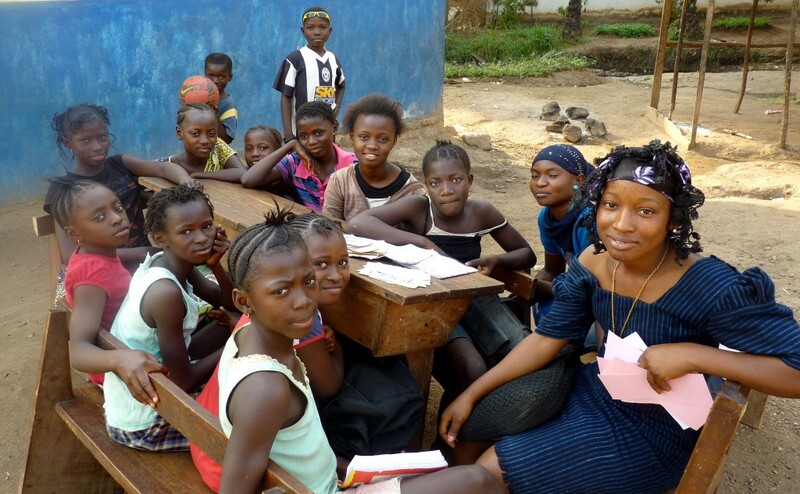 The Peer Literacy program is designed to reduce the barriers to girls’ education in the northern province of Sierra Leone. In order to encourage and enable girls to stay in school, top-performing female high school students (Peer Literacy Facilitators) will receive educational support, which includes uniforms, shoes, and funding for their high school fees. They will also be given access to computer classes on the weekends. In return, these students will provide tutoring in phonetics and reading (using a program called Fantastic Phonics) to small groups of primary students for one hour after school, from September to June. In the summer, 80 Peer Literacy Facilitators (PLFs) will receive phonetics training over a one-month period and will be given the tools to actively engage younger students in literacy. They will learn how to lead and motivate younger students to improve their reading. These newly empowered adolescent girls will serve as excellent role models for the elementary school children. Their enthusiasm for learning and their desire to complete high school will encourage the younger students. The training received in this program will allow the girls to develop better literacy skills. It will also enable the PLFs to improve their own scholastic achievement and introduce them to a potential career in teaching. While UNESCO statistics clearly show the outstanding increase in school enrolment rates over the past decade for both boys and girls in developing countries, there is strong evidence that learning is not following increased school attendance. Contributing factors include: large class sizes, inadequate infrastructure, a lack of textbooks and school supplies, hunger and poor teacher performance. In many rural areas, in particular, qualified teachers are simply not available. 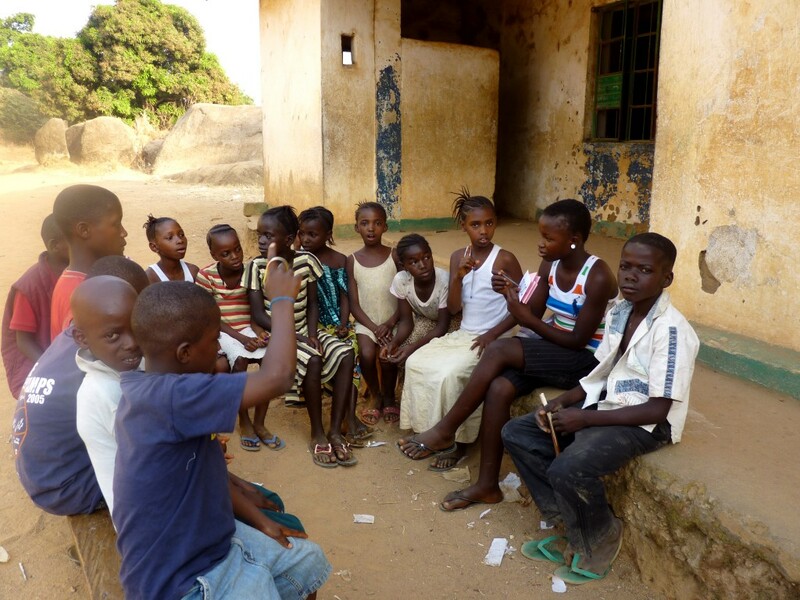 In Sierra Leone, more than half of the primary school teachers are untrained. In too many situations, children are now in school – often at great sacrifice and expense to their parents – but are not progressing, and often fail to meet national standards. The goal of self-directed learning is to permit students to improve their academic achievement despite large class sizes and inadequately trained teachers. This year, we will invest $300,000 over two years with CAUSE Canada to fund a peer literacy program and self-directed computer-based learning in rural Sierra Leone. This project will reach 5,000 students, half of whom are girls. A rigorous evaluation will deepen our understanding of the project’s impact on learning outcomes. 60 million girls feels strongly that new strategies are needed to ensure that disadvantaged children receive a quality education. The objective of this project is to introduce additional educational materials to children, encourage their natural love and enthusiasm for learning and, ultimately, to improve learning outcomes. Introduction of 80 peer literacy facilitators. 80 local secondary school girls will work on literacy skills with younger children over a two-year period and encourage them to stay in school. After-school self-directed computer-based learning. We will introduce 1,000 primary school children to after-school, self-directed computer-based learning with the use of tablets in a local learning centre. The children will be able to access interactive videos and exercises on basic literacy, math and science, including Wikipedia Academic, textbooks, agriculture and health information, music programs, African-created e-books and more. Analysis of the project’s impact. A rigorous evaluation of the impact of self-directed computer-based learning will be carried out to analyse the changes in learning outcomes and non-cognitive skills. Why partner with CAUSE Canada? CAUSE Canada’s philosophy of development encompasses a highly integrated approach that includes health promotion and literacy training for mothers and children, as well as microcredit support for family businesses. The proposed program is an integral part of an on-going strategy. 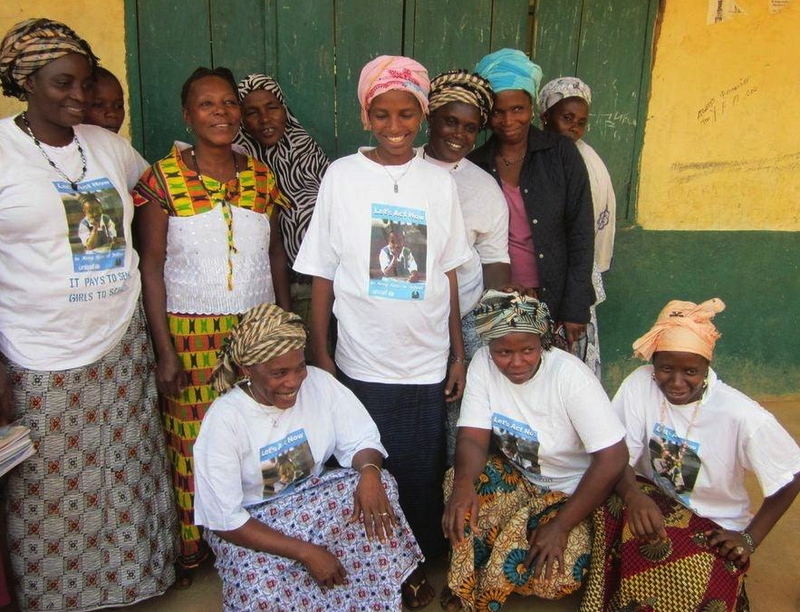 CAUSE Canada Sierra Leone Partnership was established in 1987 and employs approximately 100 people. It works almost exclusively with national staff and coordinates all programming with government departments of health, education and economic development so that work builds on already existing programs. 60 millions girls is proud to have worked with CAUSE Canada on the Peer Literacy Program in 2011-2013, as well as with on-going work in the development of self-directed computer-based learning over the past 2 years. CAUSE Canada’s staff and their founders, Paul and Bev Carrick, have been truly exceptional partners. We have appreciated their honest, transparent approach to development work and their passion and determination to ensure sustainable changes in the communities they have been supporting for more than two decades, including the 10 years during the civil war and the recent Ebola outbreak. CAUSE Canada has developed creative approaches to the challenges being faced in Koinadugu District. As a partner, they have been very supportive of 60 million girls and have demonstrated an interest in pursuing innovative approaches to education.